We are having a very 'potent' Full Moon today. A Lunar Eclipse (the first of three) and a FULL MOON in SCORPIO, the sign of transformation and rebirth. As we are writing this we are overwhelmed with emotions. So many Sister World Wide are joining us today. Over 4400 signed in on our Event Page. We are Aware that our Guidance for this Full MoonCircle hasn't been at our best, as we where working so hard to get our Blog finished by today, and to launch this in the Full Moon Energy. From now on we will provide you more then just posting amazing pictures and inspiration on facebook. We will Blogging on all kinds of subjects in Sisterhood. Inspiration in Empowerment, Art, Healing, Moon -Circles, Dance, Gatherings, Rites de Passage, Maiden-Mother-Crone, Nature, Organic Health, Sustainable Living and connections in Sisterhood. We want you all to Be part of this and share all that is going on World Wide in all Women Circels. So also for us, this is very exciting and a Special moment in Time. We are Grateful to have you all here! We want to thank you in advance for understanding that there was a bit of lack in guidance this Month, especially for the first timers. We strongly believe that you did all find your own way to prepare youself to connect in the Circle today. And even if you did not, know that just Being there with your Heart and connecting with all Beings and our Divine Universe.. is all that is needed to be part of this Beautiful Event where we all connect. Next May Full Moon Circle, and from now on, you can find all information about our Global MoonCircle on this website. There will be a Video out here with Guidance and Voice meditation and we will collect here all the information we can provide about MoonCircles, Rituals and everything that is needed to know about this subject and how we all connect in moments like these. We want to thank all Sisters that took care of guidance for us. We are all in this together, that is what this is all about. Connection and Unity! Sisters, and Brothers also.. no one is excluded here. At the full Moon, the energy builds and builds.. there's an explosive outgoing aspect to it. 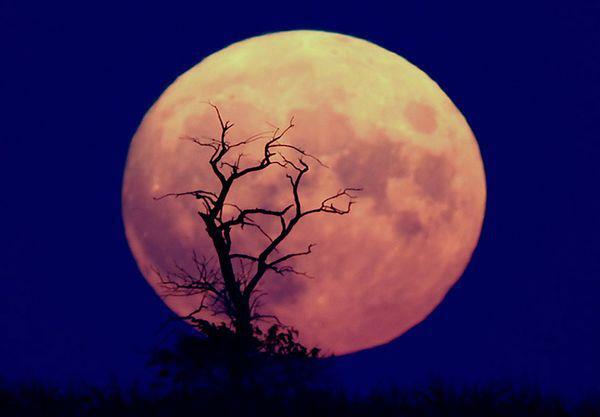 All of nature grows and is more vital at the full Moon. This surge allows you to take action on behalf of those new Moon intentions you set two week prior (we will do this also online the next New Moon, stay tuned). A full Moon ritual might involve taking one solid step, with a symbolic action. And it can be a powerful time to release, cast out, unburden yourself, purge, etc. You celebrate your emergence by stepping out of an old skin, identity, behavior, attitude, relationship. The ritual helps you by marking this inner transformation in a formal way. Be still.. go inside yourselve and let everything around you go. Your Work, your thoughts. Just Be in this moment and relax! Tune in with the Cosmos, Tune in to the Earth, Tune in to the Moon and Tune in to our World Wide Wild Sisterhood MoonCircle. Feel how strong the connection is we all have been building up by ourselves and together. Finding each other again, connecting with each other. Having a World Wide Network of Sisters available now makes us feel strong, alive and it inspires us in so many ways. Our creative sites are being inspired and we are becoming more and more Aware of our own True essence and what we really want and need in live. We have been and are planting seeds everywhere. It is now up to ourselves what we do with the seeds that we have planted. We can now decide to nurture our seeds with the best care and to guide them, so that they can become the most beautiful trees, plants and flowers with solid healthy roots in the Earth. Keep having faith and trust in yourself, and in live. Realize that we Sisters (/Brothers) are connecting at this very moment, and that we are all on the same road finding our way Home. To live in Love and acceptance. And we ARE on our Way, you can see this and you can feel it. By embracing each others differences, we are Embracing OurSelves and the Universe. A Blessed Loving Beautiful Full Moon every One!